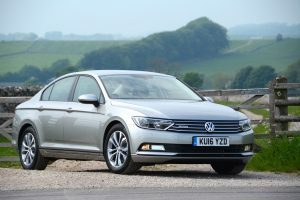 We achieved over 100mpg in the latest iteration of the Volkswagen Passat BlueMotion, showing that it’s ideal for company car drivers covering lots of motorway miles. 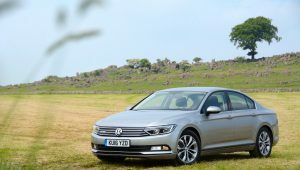 Volkswagen may have been hit with the dieselgate scandal relating to NOx emissions, but the Volkswagen Passat BlueMotion diesel remains one of the most economical – and therefore low CO2 – ways to cover long distances. 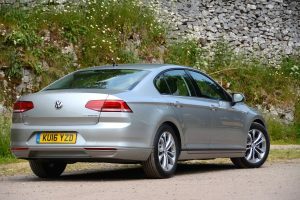 The latest version of the Volkswagen Passat BlueMotion has a 1.6-litre TDI turbocharged four-cylinder engine under the bonnet, mated to a six-speed manual gearbox, with power being delivered through the front wheels. It has a (79mm) longer wheelbase than the previous model and more interior space, yet it’s up to 85kg lighter due to its design and construction. 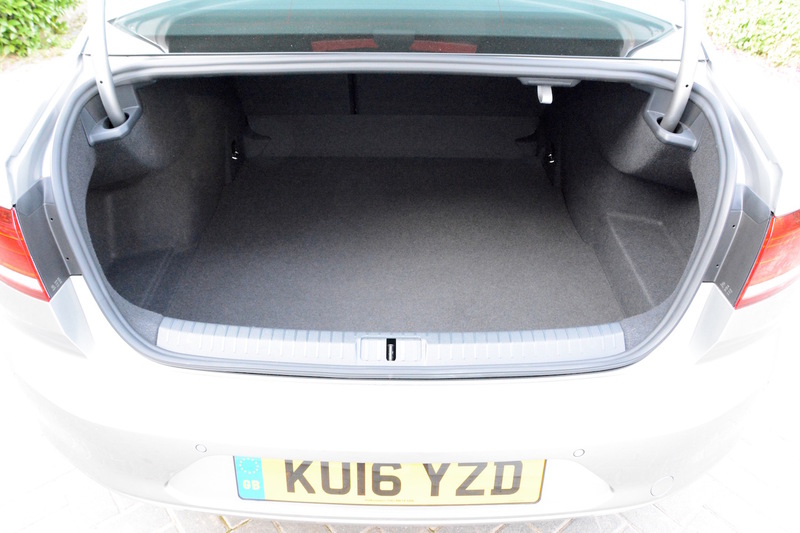 The longer wheelbase means there’s lots of legroom for rear seat passengers, and there’s a huge boot. 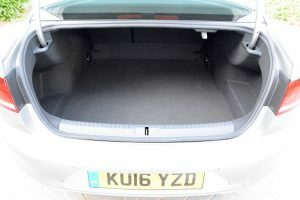 However all this attention on providing so much space at the back of the car does give the Passat a somewhat rear-heavy side profile. The interior may also not be to everyone’s tastes. The dashboard, with lots of brushed aluminium effect, is mostly flat and angular, so if you like curves or any other form of creative, cutting-edge design you’ll need to look elsewhere. 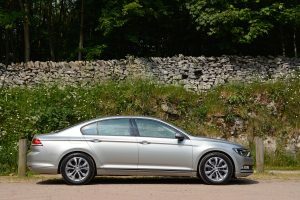 The good news is that thanks to its decent ride and overall refinement, the Passat is a comfortable way to cover lots of miles up and down the nation’s motorways. However a large saloon with front-wheel drive, a 1.6-litre diesel engine and a six-speed manual gearbox optimised for economy is not a great base for a driver’s car. The driving position isn’t as perfect as some rivals, but perhaps the main issue you’ll be aware of is the slightly grumbly sounding engine at low speed and when accelerating – although things are quieter when at a constant speed on the motorway. But as with many cars it’s the touchscreen that caused us most problems. Our view is that having to touch small buttons on a screen in the middle of the car while driving a car isn’t the best way to control vehicle systems anyway, but in the Passat this issue is compounded by what feels like a long way to reach to access many of the buttons such as for the satnav (which, by the way, does have the option to enter a postcode, even though this isn’t particularly obvious). 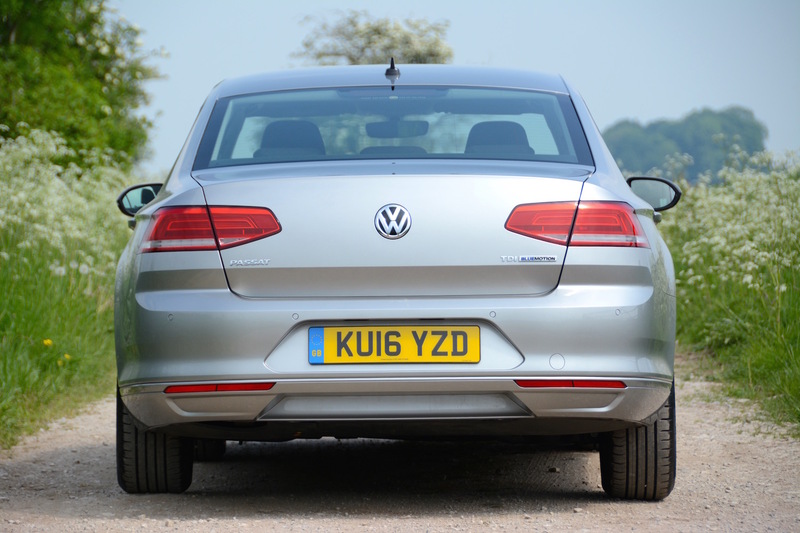 So far you may be excused for thinking that we have more issues with the Passat than we have praise, however the BlueMotion has one very impressive party trick – its fuel economy. The official combined economy is 76.3mpg – with extra-urban economy of 85.6mpg. As we know, it’s normally impossible to achieve the official figures in real-life driving, but on the other side of the coin, with a bit of careful eco-driving, the official figures can be exceeded. Green Car Guide has competed in, and won, a number of eco-driving events, and with an extra-urban economy figure of 85.6mpg we felt we could improve on this, and it would be a challenge to see if we could achieve 100mpg. So we set out to see how far we could drive at 55mph and we managed to maintain this speed for 16 miles, and over this distance we averaged an indicated 104mpg (although we did achieve 108mpg at one stage). On another journey we managed 60mph over a similar distance and this resulted in an indicated 90mpg. These are impressive results, and overall, after a week of very mixed driving with the car we recorded 57.9mpg. For a car of this size, we have to say well done to Volkswagen. 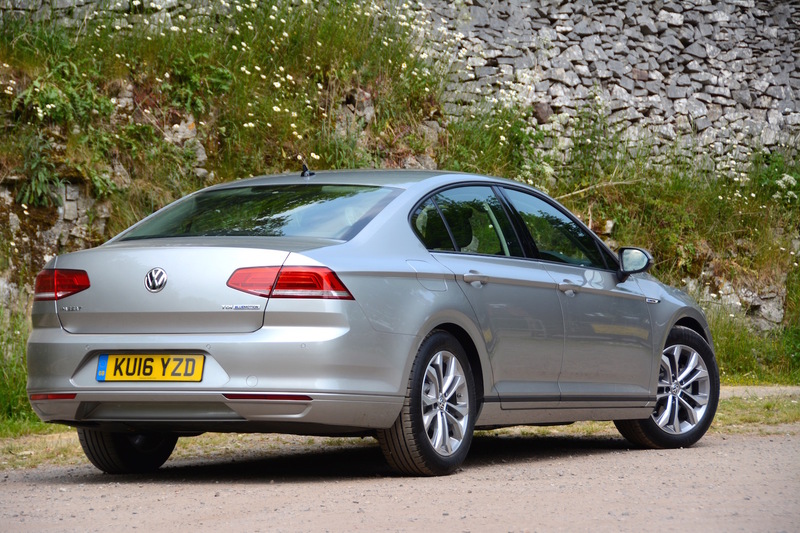 The Volkswagen Passat BlueMotion 1.6-litre TDI 120 PS 6-speed manual costs £23,530. The price of our test car with options was £26,655. 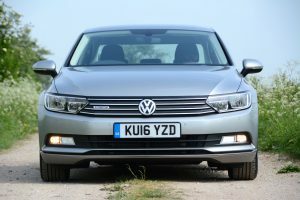 So far, the Passat has been available in the UK as a diesel-only range, comprising of a 1.6-litre 120 PS, a 2.0-litre with 150 or 190 PS, plus a range-topping 2.0-litre bi-turbo with 240 PS, DSG and 4MOTION four-wheel drive. However a plug-in hybrid GTE version with a 1.4-litre TSI petrol engine and electric motor has just gone on sale in the UK. This has a maximum system output of 218 PS and range of up to 1,000 km (621 miles) or 50 km (31 miles) in pure electric mode. This powertrain is ideal for people who normally drive less than 30 miles, with occasional longer journeys. Although our test car was a saloon, in 2015 Volkswagen UK sold 9,326 Passat Saloons and 10,606 Passat Estate models, meaning that the more practical estate is the most popular choice. There’s now also an Alltrack version in the Estate line-up. 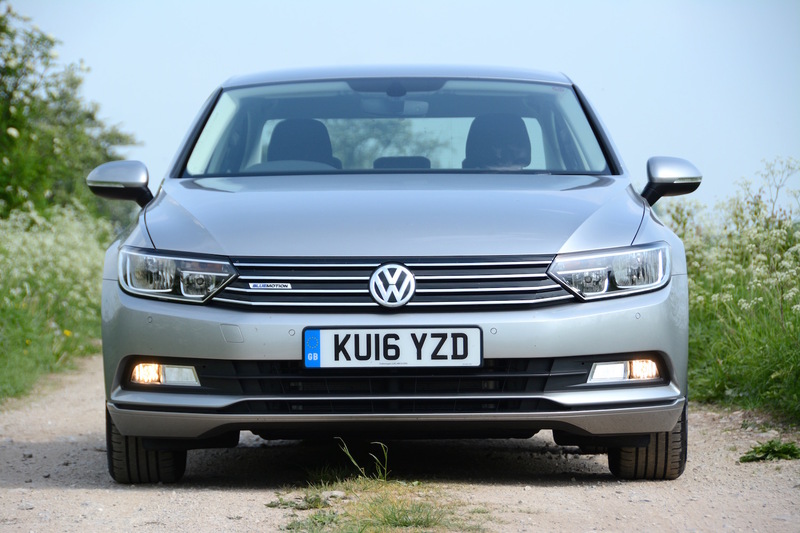 The Passat has seven trim levels: S, BlueMotion, SE, SE Business, GT, Alltrack and R-Line. 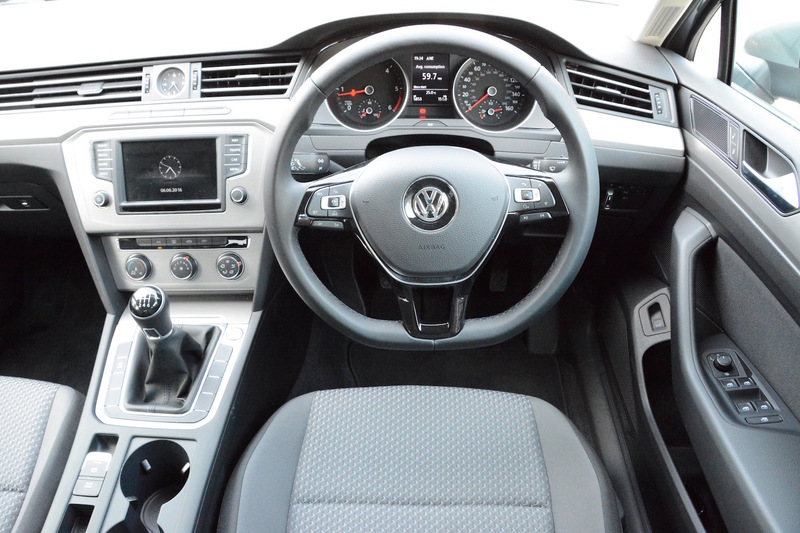 The best-selling model is the 2.0-litre TDI 150 PS with manual gearbox in SE and SE Business trims. Over 80 per cent are sold into the fleet market. 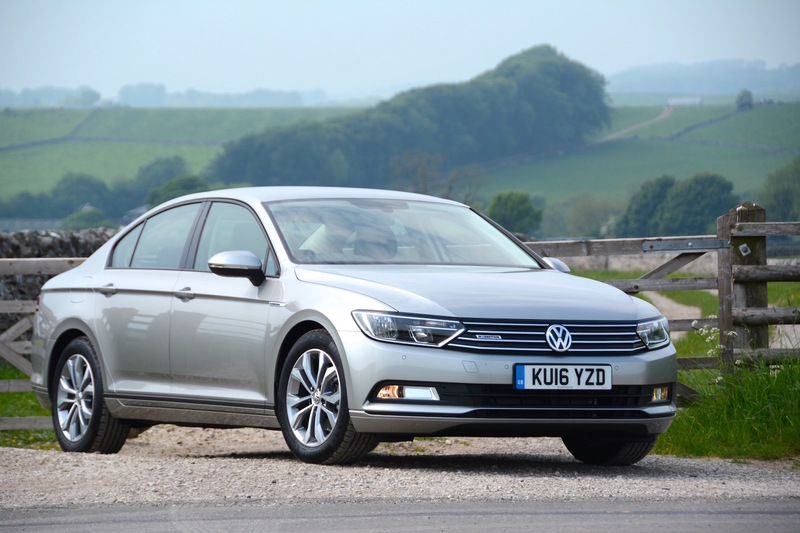 The Volkswagen Passat won European Car of the Year 2015. 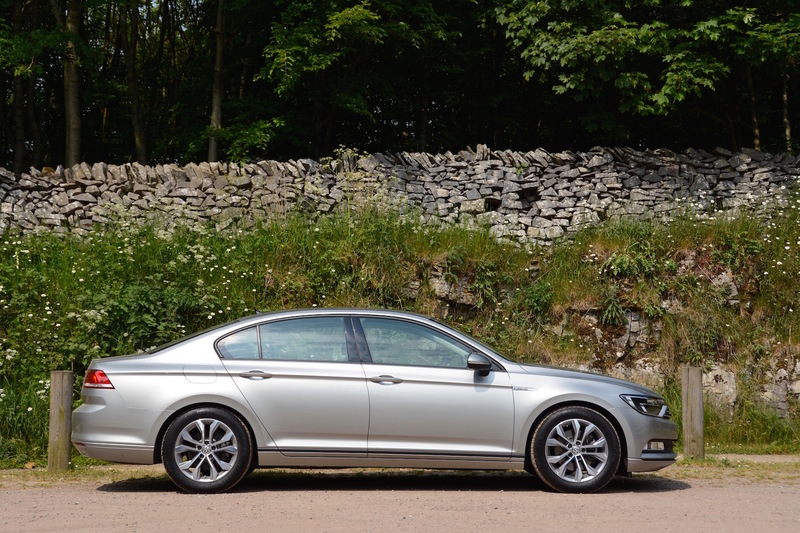 We’re not really sure that the Passat deserved this award, as it’s hardly an innovative step-change in car design. And after driving our test car many miles around the UK on a variety of roads, we were left with the feeling that there are better cars to drive. Then we spent two weeks driving around America, in a brand new, typically large and heavy (petrol) American car. After two weeks and almost 2,000 miles, the car had averaged 20mpg (much of this at 55mph). At that point we were wishing that instead of the vehicle that we did have, we had been driving a Volkswagen Passat BlueMotion. If we had averaged 100mpg, which we believe would have been possible at mostly 55mph, we would have used one-fifth of the fuel, paid around one-fifth of the fuel cost, and have emitted one-fifth of the CO2 of our American car. If all American cars driven on long journeys in the US were replaced with Volkswagen Passat BlueMotions then the environmental benefits of the emissions and fuel savings would massively outweigh any issues with NOx. The fact that Americans didn’t like diesel cars anyway, and that they like them even less after dieselgate, is one of the many reasons that the Passat BlueMotion won’t enjoy enthusiastic take-up in the US. But back in the UK and Europe, companies with employees who drive lots of motorway miles should have the Passat BlueMotion on their shortlist. 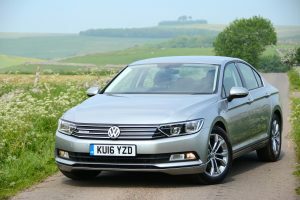 The Volkswagen Passat BlueMotion scores highly for economy and for motorway manners, but loses out on marks as an all-rounder for not being any form of driver’s car, so is awarded a Green Car Guide rating of 8 out of 10.